The information presented on this page was originally released on January 21, 2002. It may not be outdated, but please search our site for more current information. If you plan to quote or reference this information in a publication, please check with the Extension specialist or author before proceeding. 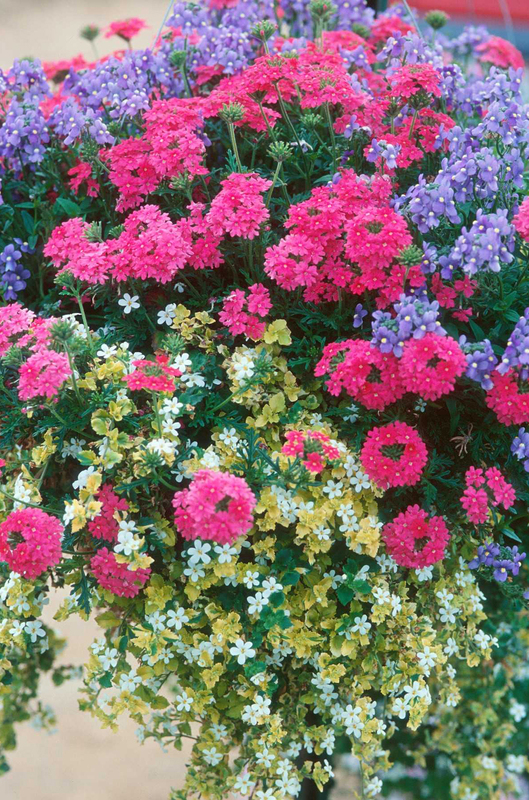 Bountiful blooming baskets of color are becoming the rage all across the nation. You may have seen the baskets in British Columbia, Seattle and Portland and wondered if we could do the same but perhaps lacked the confidence to try. 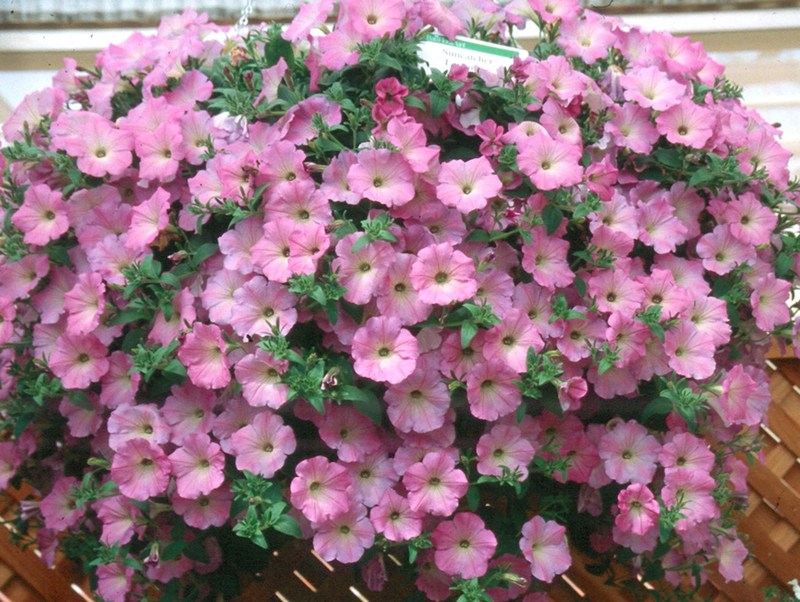 Now these designer-looking hanging baskets are the hottest thing going in every other part of the country, and it's about time. By "designer type," I am referring to anything from one species with blooms that cover the basket to the use of three to five species, artistically placed with color and texture in mind. Another very important matter to keep in mind is the period of bloom, whether it is spring, summer or fall. There may be a little difference in how the basket is made from the standpoint of wire and liner, but once it is full of blooming plants, that is all people will notice. To make your own, choose a wire basket, preferably a large one. Next, get sphagnum moss and place it in a bucket of water. Take out the moss, squeezing the water out. Line the basket by pressing the moss down and around the wires. Many gardeners and growers alike prefer the new baskets lined with coconut coir. These are less messy, but usually a little more expensive. With these liners, you simply cut a slit or hole in the liner to allow the plant to be placed through to the potting mix. In six weeks or so, garden centers will have a virtual smorgasbord of beautiful blooming plant material available allowing you to create bold colorful baskets. The vegetative division of Ball Seed, BallFlora Plant, has some new petunias called Suncatchers that will take your breath away. Bodger Seed has a new series under their Bodger Botancial Division called the Trumpets. It would be hard to pick prettier plants for the spring. Proven Winners in California has been a leader in the basket craze, teaching growers and retailers about outstanding basket combinations for spring. One that is most beautiful uses Blue Bird nemesia at the top, Babylon Neon Rose verbena in the middle and Olympic Gold bacopa at the bottom. Never underestimate the importance in baskets of filler plants such as Olympic Gold bacopa, Orchid Frost lamium, Oriental Limelight artemesia and Amazon Sunset cypress vine. You may be concerned about summer when it's hotter than you know where, and I don't mean Lubbock, Texas. 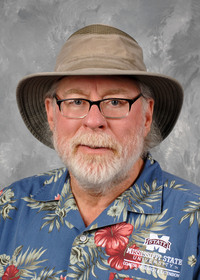 The Summit Shopping Center in Birmingham demonstrated to everyone last year that baskets can look good all summer with adequate water supplies. The plants they chose were some of my favorites. In the middle of the baskets were mandevillas climbing the chain. Around the perimeter was New Gold lantana, asparagus fern, and Marguerite sweet potato. 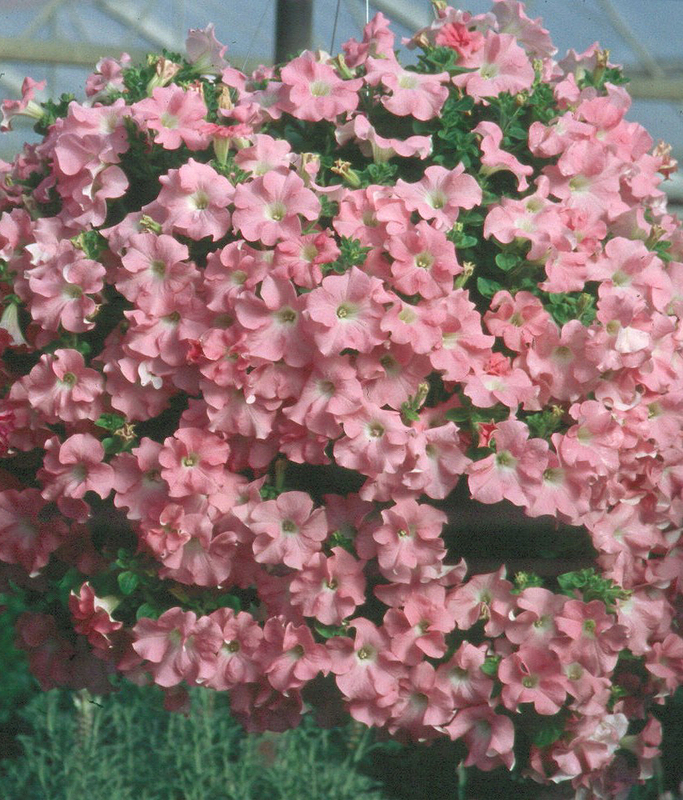 Other choice summer basket plants are New Wonder scaevola, Purple Heart (Tradescantia pallida), Dragon Wing red begonia, Mississippi Summer sun coleus, Madagascar periwinkles, Mexican heather, Mexican mint and Escapade blue plumbago. Fern baskets are great, but those packed with color will make the porch, patio or deck have the look of a hanging garden instead.